Episode 6×07 “Thanksgiving” — Oliver (Stephen Amell) celebrates Thanksgiving with his family but the happy moment is interrupted. Meanwhile, Black Siren (Katie Cassidy) returns to wreak havoc on the holiday. Gord Verheul directed the episode written by Wendy Mericle & Speed Weed. Air Date: Thursday, November 23 (9:00-10:00 p.m. ET) on the CW. 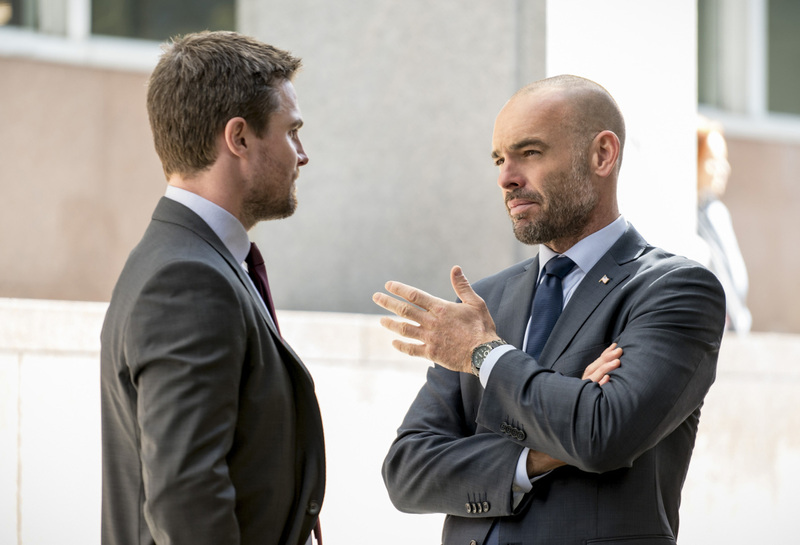 Arrow -- "Thanksgiving" -- Image AR607a_0005b.jpg -- Pictured (L-R): Stephen Amell as Oliver Queen and Paul Blackthorne as Quentin Lance -- Photo: Dan Power/The CW -- ÃÂ© 2017 The CW Network, LLC. All Rights Reserved.